Eat Water is an organic, low calorie and gluten free diet food brand based in the UK. 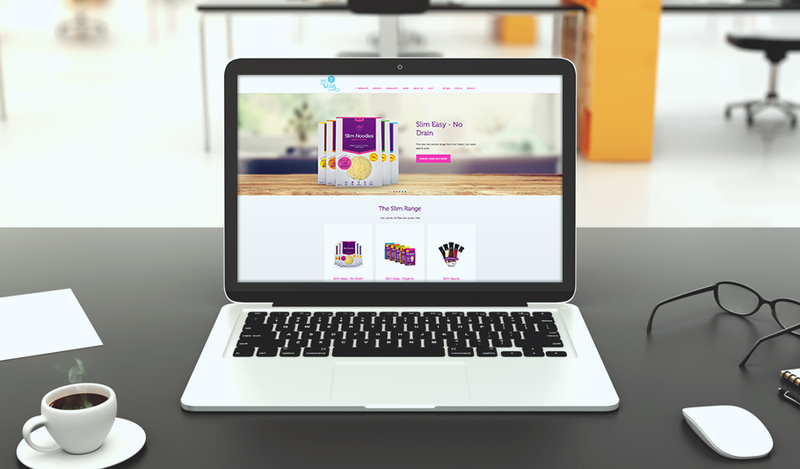 The company was a new and emerging health food brand on the international scene who were in need of an ecommerce website that showed the playful site of the brand, as well as showcase the health benefits of the product. The Eat Water line had to be easily accessible to the consumer, so they could make purchasing decisions easily. The diet and wellness food market in the UK is competitive and cluttered with brands making tall claims. We wanted to do something different for Eat Water, so we created a website that built and supported an active online community for people who want to live a healthy lifestyle and lose weight. The website allowed users to interact with experts within the brands research team, so as to understand the products better. The website is responsive and ecommerce enabled, allowing customers to take the next step and use the product. Our SEO team also got stuck in and today the website is at the number one position in various search engines, driving a huge volume of traffic to the web store. Working together with Eat Water, we’ve sold thousands of product and have a healthy base of returning customers. Check out the website at eatwater.co.uk.